ROCK SALT BURNER/DIFFUSER & AROMA OILPack Includes : Rock Salt Burner/Diffuser, T-Light Candle, .. 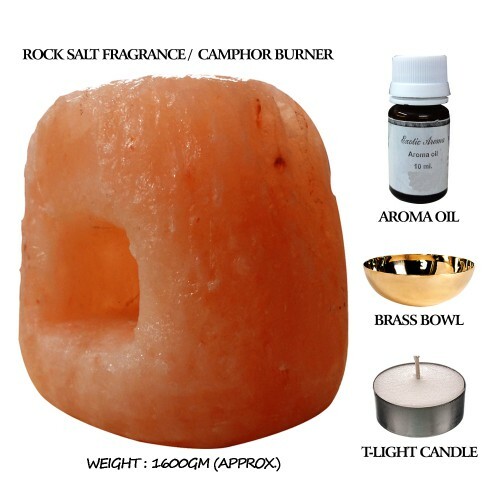 This unique product utilizes the benefits of both -Aroma/Fragrance and Rock salt lamp (candle lit). 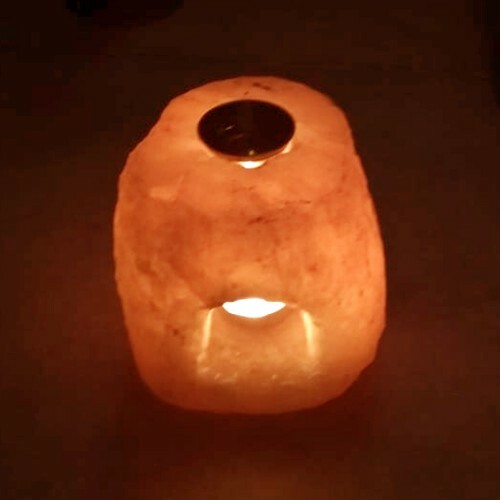 These rock salt burners/Diffsers are absolutely stunning especially when lit at night. 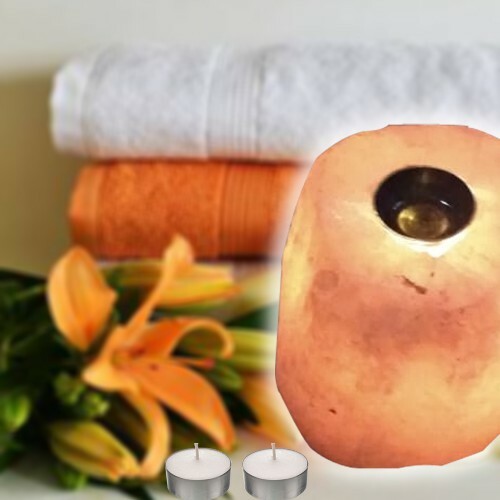 Light the tea light and put the fragrance / camphor in the brass bowl placed on top to discover the magical glow and aroma. We are the only supplier who gives the bowl made of brass (not steel or any other material) with this burner. This metal attracts as well as transmits Chaitanya (Divine consciousness). 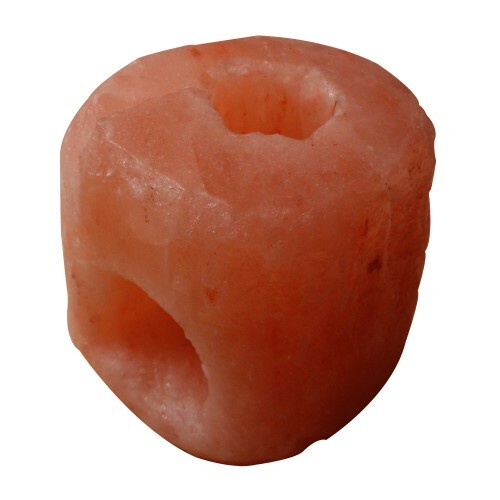 Such spiritual benefits are not obtained from the use of stainless steel or aluminum bowls.